Everyone needs to start somewhere, and the best way to start is to arm yourself with the requisite knowledge on anything you intend to do. 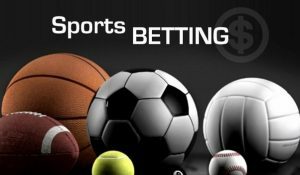 Thus, if you are new to sports betting, welcome to bestbettingcasino.com and arm yourself with facts and tips on different aspects regarding sports betting. Most people shy away from sports betting or start on the wrong footing, merely because they do not understand how it works. Most sports bets are anchored on three essential components; selection, odds, and stakes. Selection: A selection essentially refers to the team you are picking to win or your predicted outcome. For instance, you can choose Arsenal to beat Manchester United, or both sides to score a goal. Undoubtedly, sports betting is all about being able to make the correct picks and win. Odds: The odds are often indicative of the predicted outcome of the match. Events or match outcomes that are highly likely to occur, attract lower odds, while those that are less likely to happen have higher odds (according to the sportsbook). The higher the risk, the better the odds. It is worth noting that most professional punters do not rely on odds entirely, they trust their evaluations. Stake: The stake is pretty much what it sounds like. Ideally, this is the amount wagered. Your possible win is often arrived at by multiplying the total odds on your bet slip by the stake. Setting the stake is one of the most important, yet often overlooked, aspects in sports betting. Winning and losing is part of sports betting. The best thing to do is to keep your cool and stick to your betting strategy, irrespective of the outcome. If you are only just starting out, or you are a seasoned gambler, who just can’t figure out some things, here are some betting tips that will see you improve your chances of winning online. 1. Avoid emotional betting. Sports betting is not just about how you feel about a particular team. Always do due diligence, by paying attention to the odds, team news, statistics, and anything that might have an impact on the match. 2. Pick a strategy. Successfully betting takes time and effort. Punters need to have a plan, avoid making hasty decisions, and most importantly, specialise in a few leagues. Never bet on sports you do not know. 3. Manage your bankroll. Successful bettors bet responsibly. This requires you to show discipline in how you place your bets. In a nutshell, sports betting can be enjoyable, and rewarding, in many ways. As long as you embrace responsible gambling, then you should be just fine.